In this, employee and the employer contribute the same amount in the savings account that you can avail at the time of retirement or while changing your job. Now time to check your EPF balance. You have got a message or you can get a call anytime. 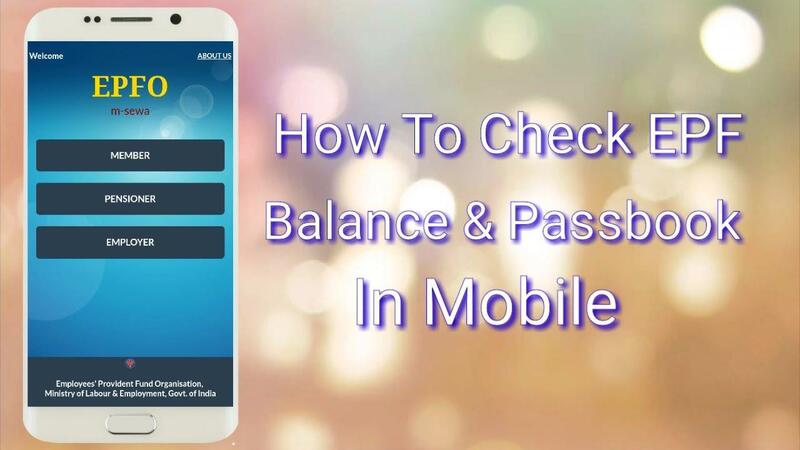 You also have the option of checking PF balance check app. Important Notice: To your check EPF balance, you have to make sure that the you have activated Universal Account Number (UAN). It is a unique Account Number. You can also call it UAN. It has unique Numbers for every employee under the EPF scheme. you can get your UAN Number under the EPFO. You can have only one UAN Number at the working time of your company. you can change it after shifting your job in another company. Choose “for employees” from the drop-down menu. Click on the option of ‘Member passbook’ it is available under the service option. Now you can see that there is a page appeared on your screen. Now enter your UAN number and password for the activation. Congrats, your account and UAN is activated. Important Note: To check your EPF balance, make sure that the employer has activated your UAN number. For accessing this amazing service on phone. You just have to download the “m-sewa app of EPFO” app. You will easily get this app on the app store and google play store. After downloading this app. Open it and select the member option. Now, go to the balance or passbook section. Now enter your UAN and registered mobile number. Type EPFOHO UAN ENG in the message. Now you can choose your own language or preferred language for best understanding and communication. You can choose three languages as preferred languages. If you want to receive the latest updates in English, use the first three characters of the word English like EPFOHO UAN ENG – where ENG stands for English.